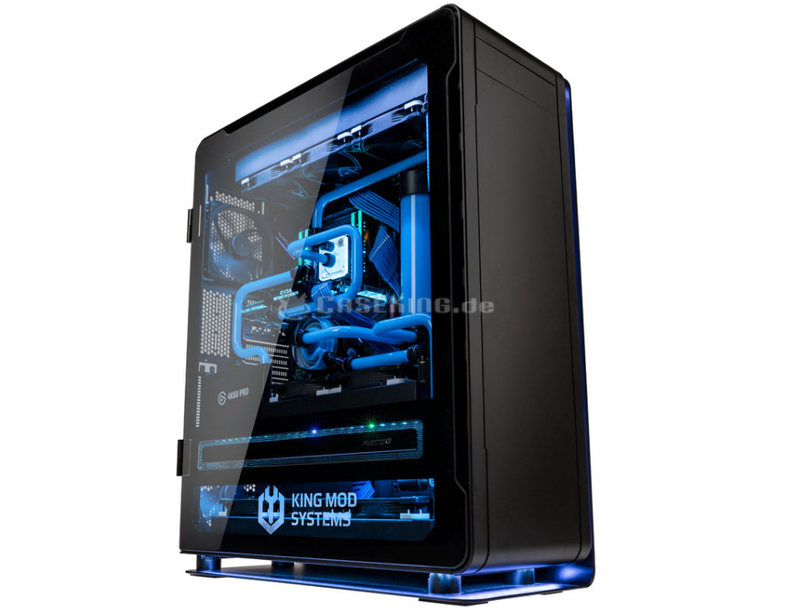 The King Mod CKPC-843 is actually not one system, but two machines in one case. The primary Core i9-9900XE-based HEDT is used for gaming, with an RTX 2080 Ti and an ASUS Omega motherboard, whereas the secondary Core i5-9600K-powered one is used for streaming with an Elgato/Corsair 4K60 Pro card installed. If you want to stream your games and still enjoy all 14 cores of the HEDT machine, you can dedicate the second Mini-ITX PC solely to streaming. The CKPC-843 costs €12,999.0 with taxes.